By this time, most of our New Year’s resolutions have been forgotten. Our predictions for the state of the construction market, though, live on. With 2018 half way in the books, June provides a perfect time for a mid-year check up on those predictions we made. Labor Force Statistics show a moderately declining Unemployment Rate, starting in January at 4.1% and standing at 3.8% in May. The same data for the construction market alone shows a more drastic, seasonally-adjusted decrease over the same period – from 7.3% to 4.4%. This data clearly shows a universally strong economy and confirms that construction jobless rates have decrease more than two times faster than that of other industries. The low – and continually decreasing – Unemployment Rate is only half of the story related to construction’s ability to find qualified candidates for open positions. We predicted a tough hiring environment for companies in 2018 and data shows us that prediction is spot-on. Not only is it difficult to hire, it is tough to find quality applicants. ZipRecruiter reported that there were half as many applicants applying for open construction positions when compared to this time last year. All is not lost, though, companies are finding candidates – but, are spending more to train those new employees. The hiring market is difficult and the downstream impacts on training and on-boarding will be felt at these historically low unemployment levels. Let’s be honest – our prediction was a bit wishy-washy at the beginning of the year. We expected construction spending to be up overall but down in certain markets – a “mixed bag” as we called it. While far from a hard line stance, our prediction seems to be exactly right. Through April, spending on a year-to-date basis was up nearly 6%. The data has fluctuated throughout the spring. Spending, in fact, plummeted in March by about 1.7%, leaving industry experts trying to explain. 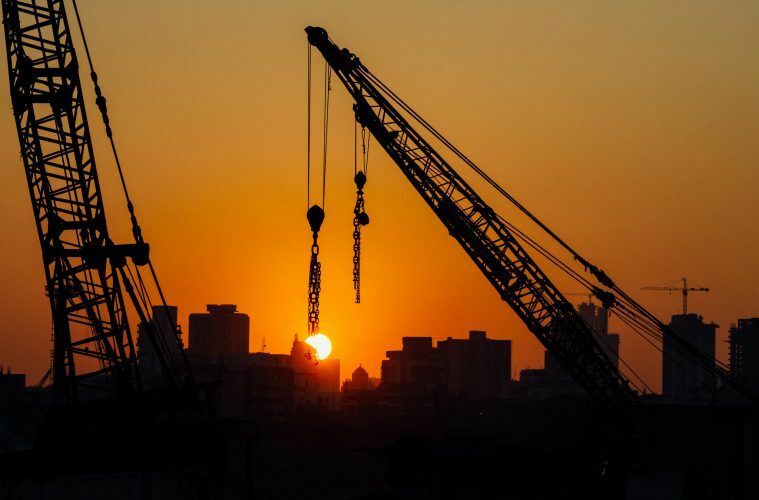 Data reported by the U.S. Census Bureau described construction spending overall as “sturdy” while documenting the fact that private spending consistently has increased while public sector spending, while up for the year so far, fell for the second straight month in April. Analysts are noting that the potential impacts of tariffs on steel and aluminum are lurking on the horizon and will have the construction market’s focus over the next few quarters. Prediction #4: Commodities and materials prices will continue to grow. The consensus going into 2018 was that all commodities prices will, again, rise. Most estimates pegged the growth at or near 9% year-over-year. The rise in prices, though, has outperformed expectations – nearly doubling to around 20% when compared to the same time last year. According to research done by the World Bank, the exaggerated rise in prices is due to strong demand coupled with restricted supplies of key commodities. The press release twice mentions Chinese policies as leading indicators to watch during the last two quarters of 2018. This year, like last year, our construction industry predictions are holding true for the first two quarters of 2018. And, while we don’t have a crystal ball that tells us exactly how the year’s remaining months will go, we are confident in our continued accuracy. Thinking about a fresh start? Looking to hire the most qualified candidates in this tight market?